If you are a frequent visitor to this site, you are very familiar with our database that can be used to rank individuals and teams at any point in the year like we have been doing this summer and early fall. Occasionally, we like to rank athletes subjectively so here is my attempt to rank the top 10 current male cross country runners in our state. It's tough to just narrow it down to just 10 but I tried nonetheless with the help of a very cool feature, the MileSplit Compare Athletes, which you can find at this LINK. You can enter any two athletes (like the Stanford twins above) to see how they do head to head as well as compare all their personal records. If you feel like I left someone off the list that definitely deserves to be mentioned, please feel free to state their case in the comment section below. 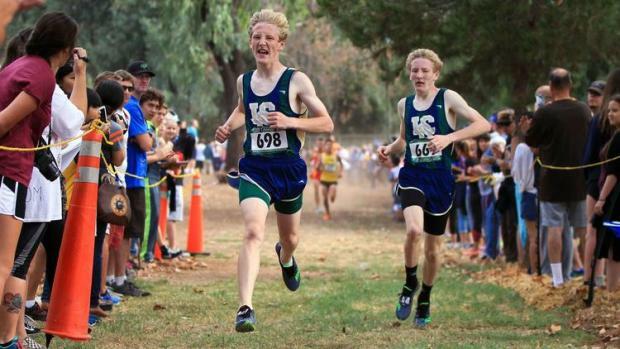 Click on the slideshow to check out the runners ranked from 10 to 1.